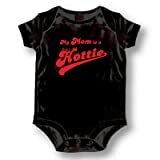 6035S Size: Small Features: -Baby romper.-Material: 100 pct Cotton.-Unique novelty. Options: -Available in Small, Medium or Large sizes. 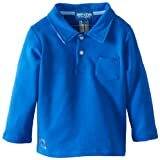 These polos are stylish and soft with high a quality trim for your little gentleman. 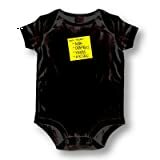 6004S Size: Small Features: -Baby romper.-Material: 100 pct Cotton.-Unique novelty. Options: -Available in Small, Medium or Large sizes. Decorative accent on inner collar band and interior back panel. Signature Andy & Evan embroidery on front pocket. A soft & elegant polo shirt for your little nacho. These polos are soft and wearable with high quality trim in all the right places. 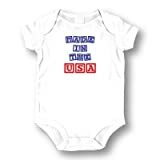 6059M Size: Medium Features: -Baby romper.-Material: 100 pct Cotton.-Unique novelty. Options: -Available in Small, Medium or Large sizes. 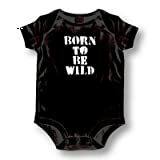 6025S Size: Small Features: -Baby romper.-Material: 100 pct Cotton.-Unique novelty. Options: -Available in Small, Medium or Large sizes.